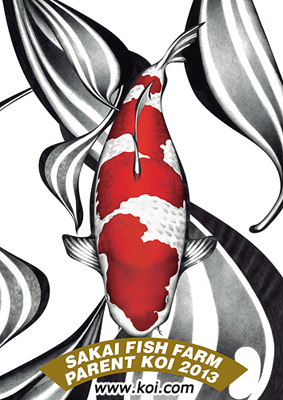 Sakai of Hiroshima has published a series of high quality color booklets that illustrate the development and genealogy of their Kohaku, Sanke and Showa bloodlines in stunning detail. In addition to the Bloodline Charts, these booklets feature most of the pairings of Brood stock used in Sakai’s breeding program. At the end of each booklet there is a listing of many of the major award winners that have resulted from these bloodlines, as well as photographs of their state of the art facilities in Hiroshima Japan. This booklet is a valuable learning and teaching tool for the hobbyist and professional alike. You can open each one of these fully interactive online versions by clicking on the book covers below. Flip through the pages by grabbing the corner of each page and dragging them like a normal book or use the navigation bar at the bottom. The books are best viewed at full screen which can be activated by clicking on the full screen icon in the bottom left hand corner of the window. To exit full screen mode… just click escape on your keyboard or the hit the same icon in the bottom left hand corner of the window. 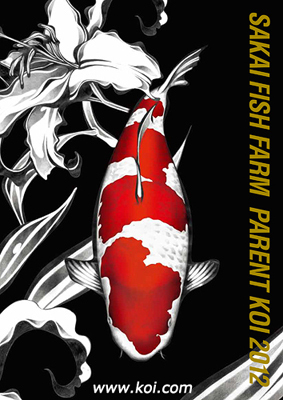 This entry was posted in Sakai Fish Farm on January 21, 2014 by koiadmin.